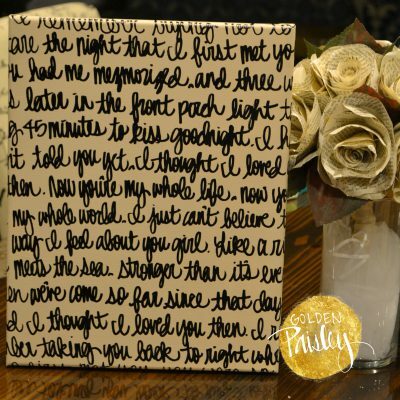 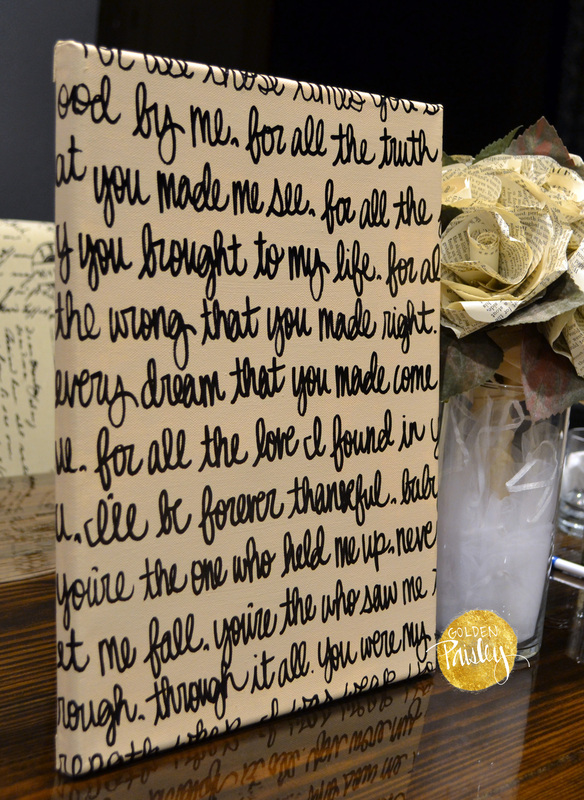 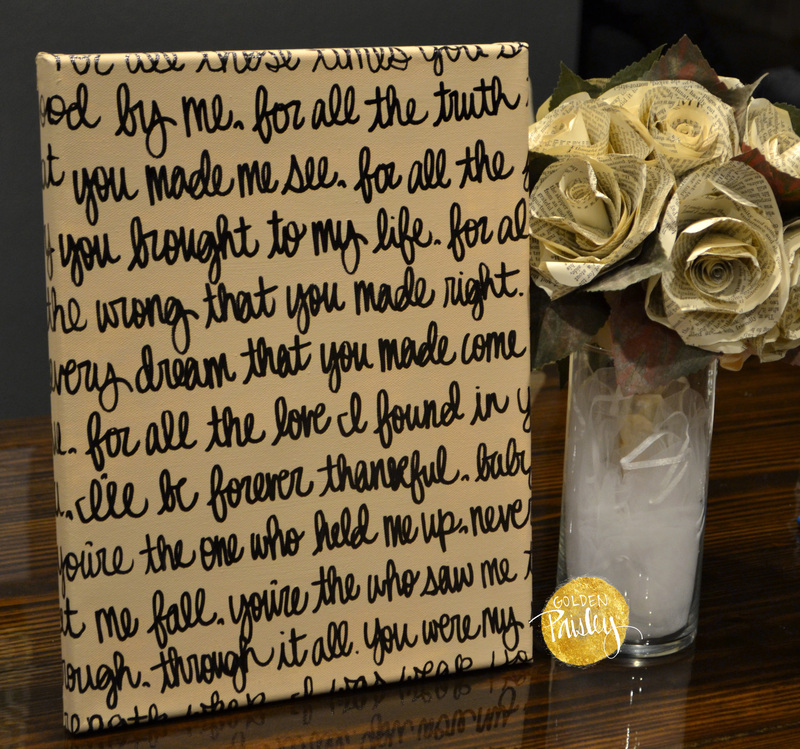 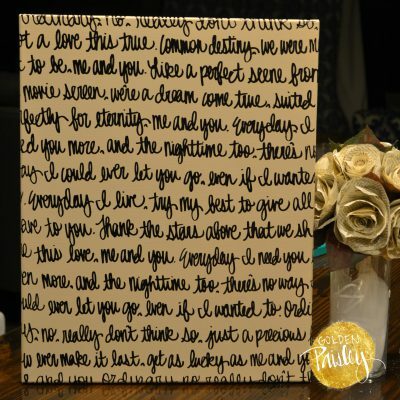 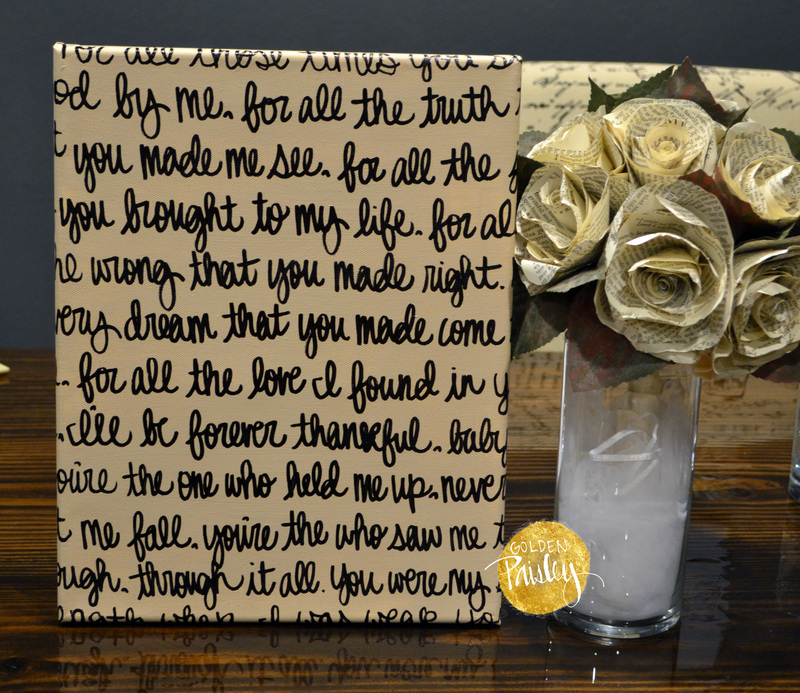 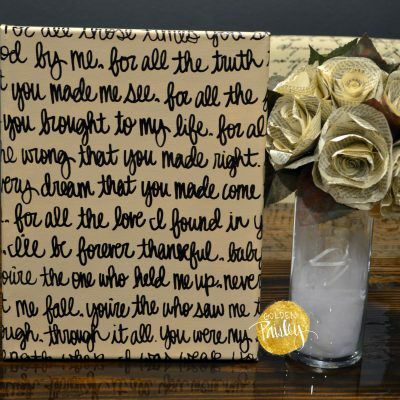 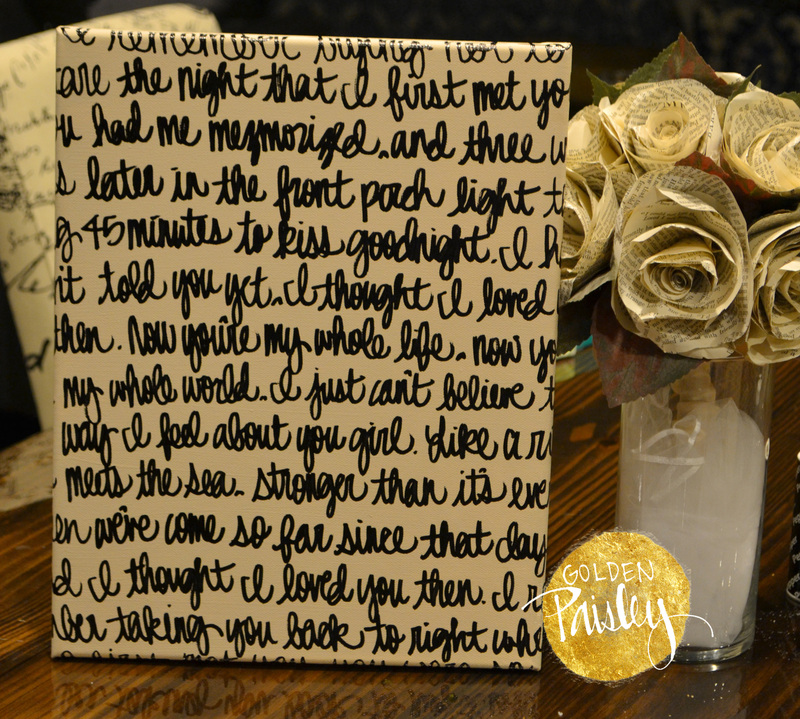 This beautiful, hand painted wall art features your favorite song lyrics, your first dance song lyric,s or your wedding vows! 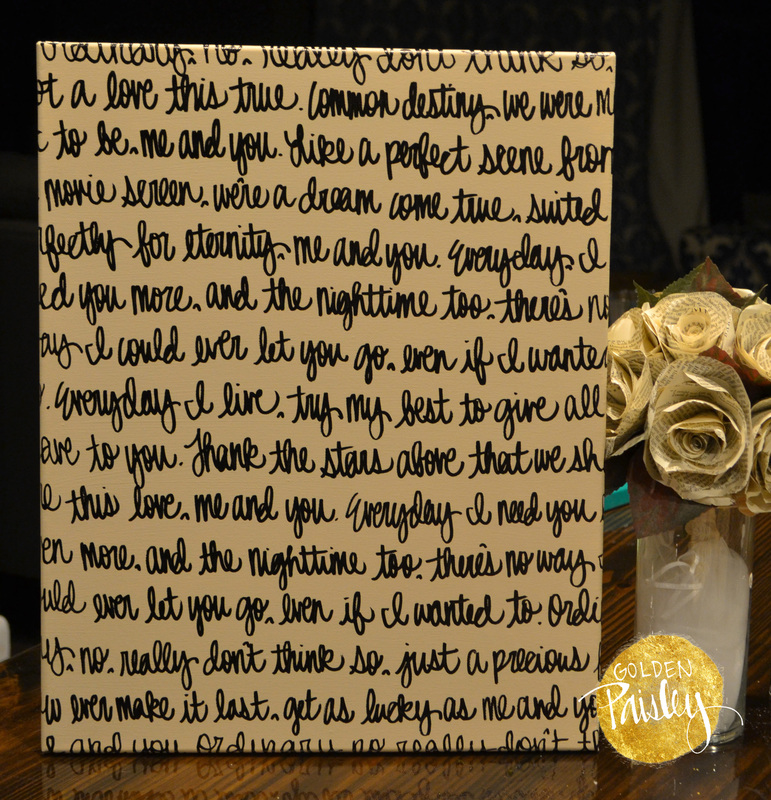 The painting is hand painted (not computer generated) on stretched canvas and includes hanging hardware on the back. 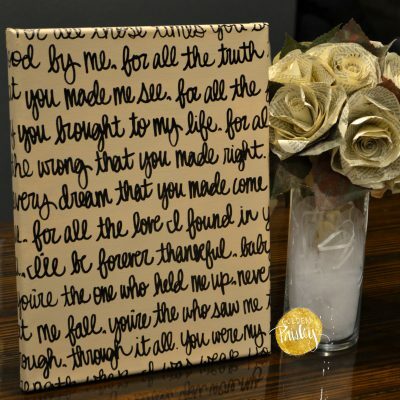 The color scheme in this listing is a creamy beige color with black text, creating a chic and sophisticated look. 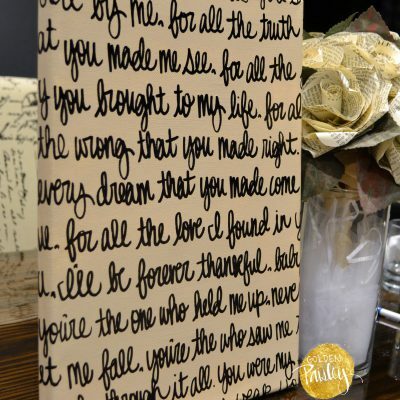 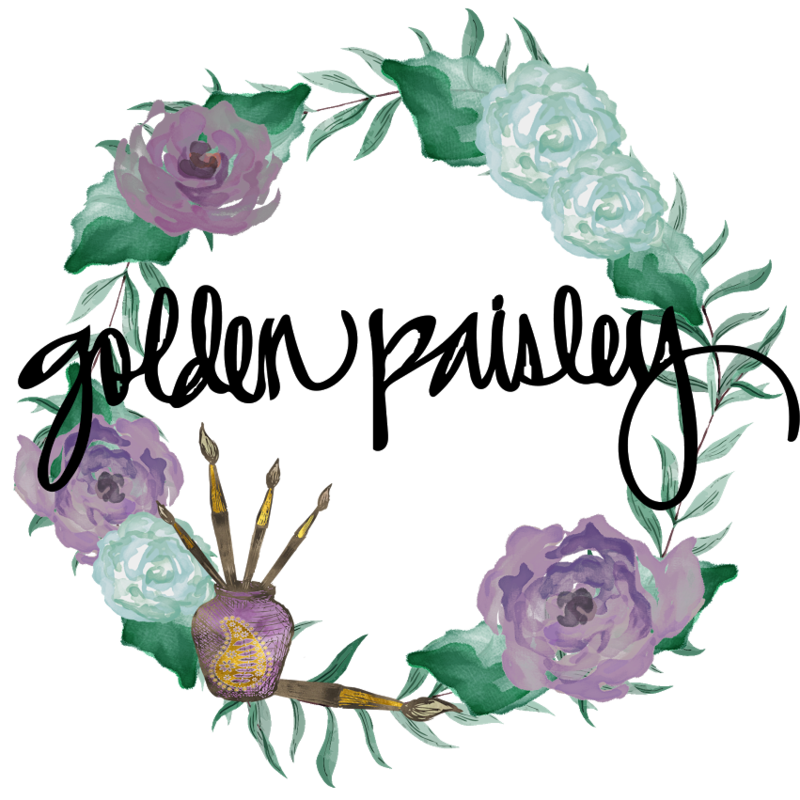 You can send a link to your lyrics, or copy and paste your vows into the “buyer’s notes” section upon checkout.